LDS Primary Chorister Ideas: Head, Shoulders, What, What, What?! Head, Shoulders, What, What, What?! It sounds crazy, but I have a primary full of kids that DO NOT like to sing wiggle songs. The first time I stood up and said, "Let's sing Head, Shoulders, Knees, and Toes," I thought their eyes were actually going to roll back into their heads. I was shocked! So I knew I would have to come up with some great new ways to sing a few familiar...er...favorites. 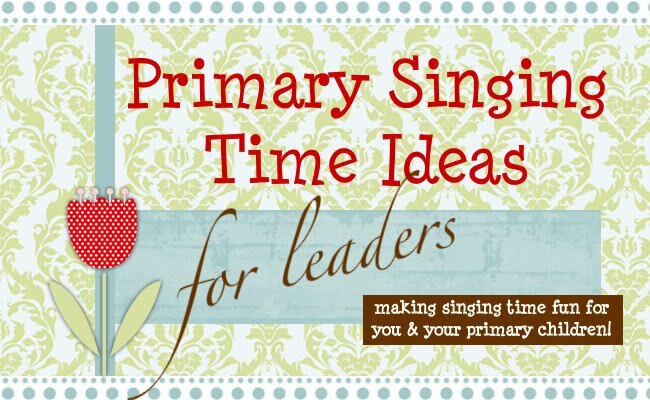 I found this awesome post by Divine Secrets of a Primary Chorister and immediately printed her activity cards for that song. Then, after reading her ideas on HSK&T I came up with the inspiration for this little guy. 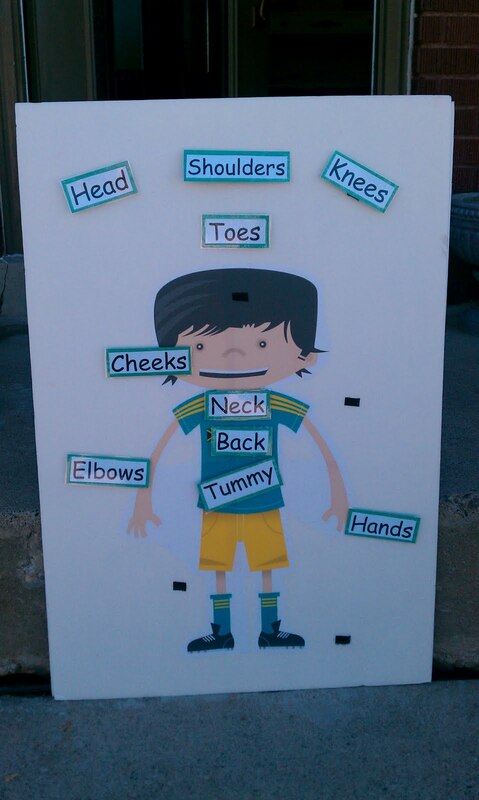 I just picked a few body parts, laminated them, and velcroed them to the poster board. 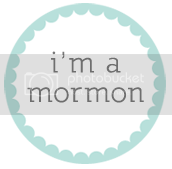 That way the kids can customize the way we sing it every time, and it won't get boring. 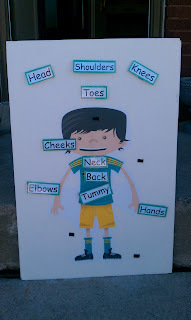 I unveiled the "Head, Shoulders, Knees, and Toes Guy" the next week, and it was a hit! It was the fifth Sunday so I had about 45 minutes, and this and Do As I'm Doing ate up a good chunk of it. Let me tell you - it was a workout for the kids and they were actually panting after the last round! So was I, which was lame. Now every week they beg for me to bring him back!